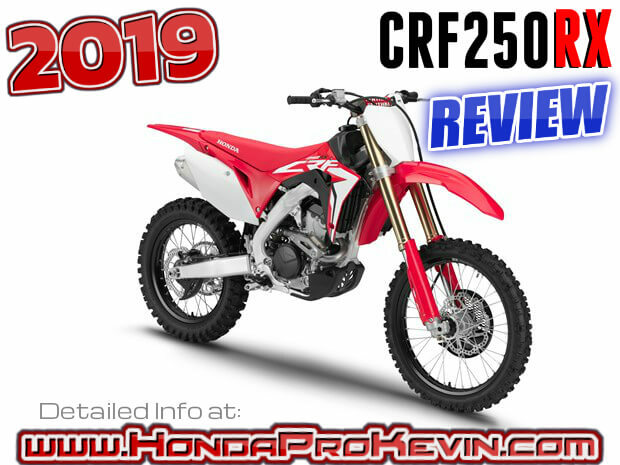 2019 Honda CRF250RX Review of Specs / Features + R&D Info | CRF250R for the woods! 2019 Honda CRF250RX Review of Specs / Features + R&D Info | New CRF Dirt Bike / Motorcycle! 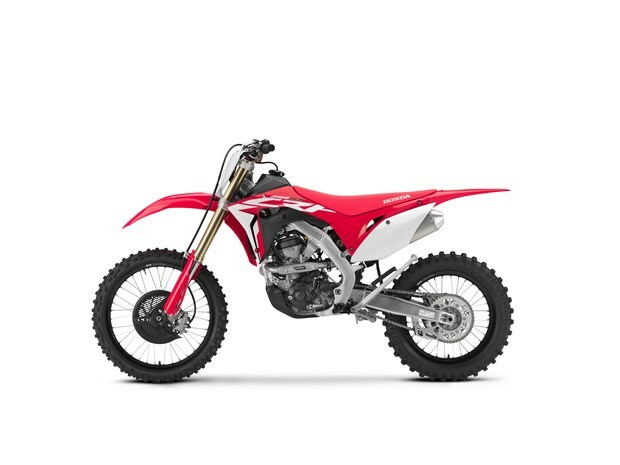 2019 CRF250RX VS 2018 CRF250RX Price / MSRP Increase: None, new model for this year. 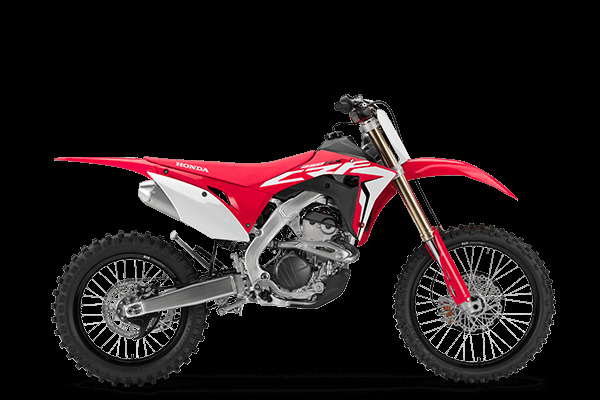 2019 CRF250RX VS 2018 CRF250RX Changes: None, new model for this year. 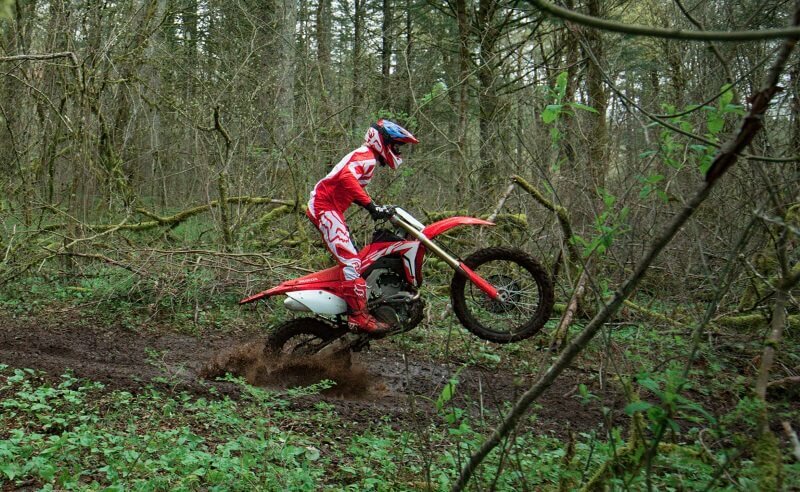 Honda’s CRF250R has shown itself a worthy weapon for battle in many race-series across the world. In 2018, it made a giant leap, with a full model change that shared the ‘Absolute Holeshot’ philosophy of the 2017 CRF450R, featuring a new seventh-generation frame, revised geometry and Showa suspension – plus a brand new DOHC engine. 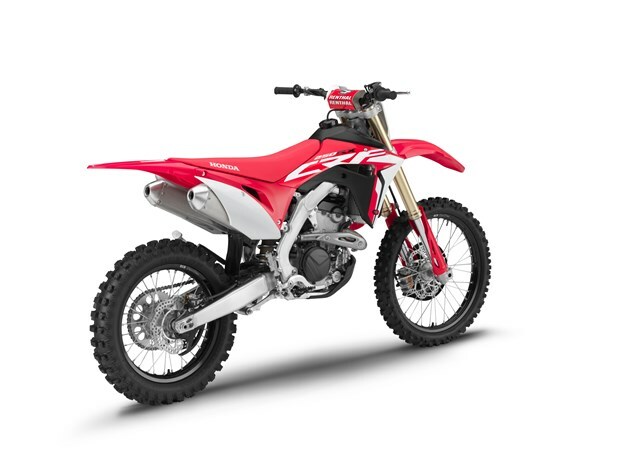 Now Honda is expanding the CRF250R platform and adding a cross-country option to the range; the CRF250RX mirrors the CRF450RX and takes the 2019 CRF250R as a base. Fast, agile and easy to ride, it’s a potent machine, with modifications that tailor it perfectly for its new role, making it equally at home speeding up a root-strewn climb or slicing precious seconds off a special Enduro test. 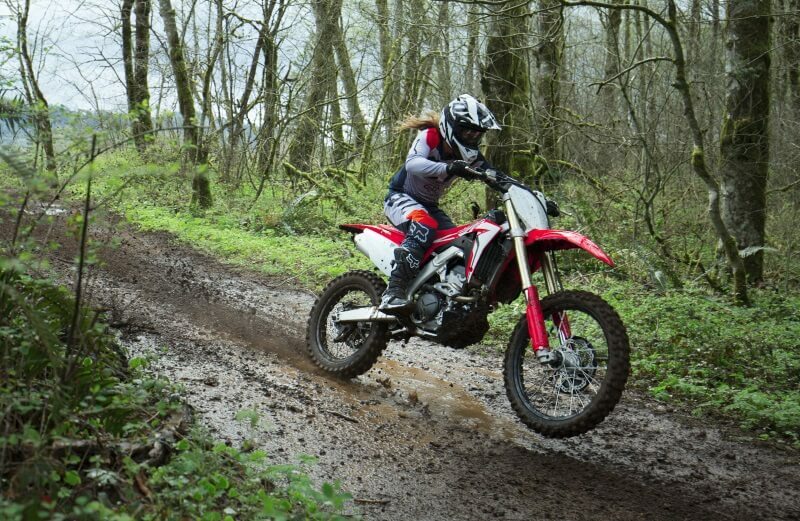 In common with the CRF450RX, the CRF250RX uses the rock-solid base of its moto-cross sibling and adds the essential ingredients for closed-course cross-country riding. 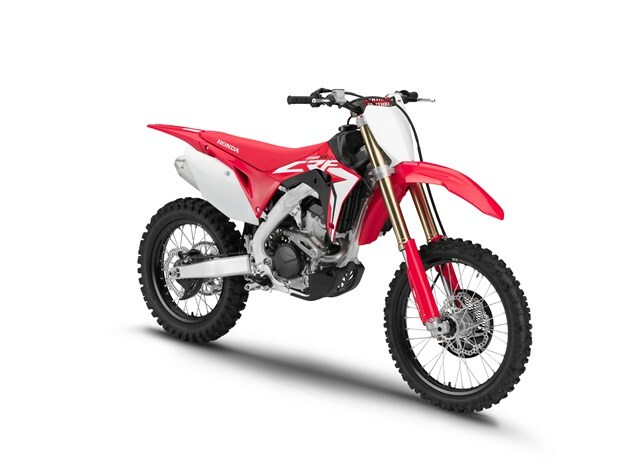 Thus, it features a 2.25 gal (8.5L) fuel tank (like the CRF450RX), and also uses an 18-inch rear wheel plus revised suspension settings front and rear. Fuelling and ignition mapping have also been adjusted to deliver a softer power delivery compared to the moto-crosser, and a forged aluminum sidestand is fitted as standard. (thanks to revisions from the throttle body all the way to the exhaust), a new front brake caliper, Renthal Fatbars and 3-mode HRC Launch Control to help any rider gain a good start, every time. Strong peak power is a CRF250R core strength, and was further boosted by a massive 9% for the all-new 2018 CRF250R machine. For 2019, the base engine has been further refined with the focus on low-RPM improvements. Sharper jump out of slow-speed corners has been achieved with a 2mm smaller (now 44mm) diameter throttle body, to speed up low-RPM air flow. The inlet and exhaust ports have been re-shaped and the exhaust valve cam ‘closing’ profile also reduced by 2°, all to boost torque. 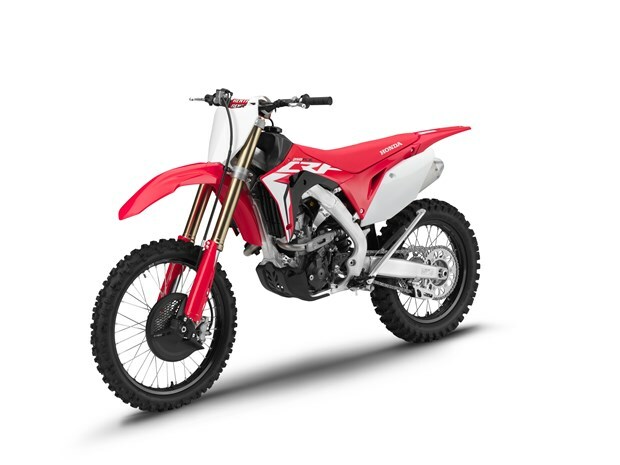 The CRF250RX shares the engine with is moto-cross sibling (CRF250R) for a fully-rounded performance throughout the range – with the same peak power – but has revised fuelling and ignition mapping to soften the power delivery. The fundamentals of the engine are: bore and stroke of 79 x 50.9mm, with a 4.5mm cylinder offset to reduce friction and compression ratio of 13.9:1. Titanium valves – 33mm inlet and 26mm exhaust. Lift is 10.5mm inlet and 9.5mm exhaust and the valve angle is set at 20.5°. The valve springs themselves are oval in section; the inlet valves are fed by symmetrical straight-shot downdraft intakes, which are shorter for improved high RPM snap. The piston is a Bridged Box design. Its rigidity converts combustion pressure into high output efficiency; for 2019 a 5-hole piston oil jet replaces the previous 4-hole design, improving piston cooling and optimizing ignition timing. A scavenge oil pump system reduces friction and ‘pumping’ losses at high RPM, by discharging oil and air in the crankcase and maintaining negative pressure. The oil also lubricates the clutch and gearbox, with a total oil capacity of 1.32 qt (1250cm). The combined oil pump/drive gear, oil filter and oil way are on the right side of the engine – the oil’s path around the engine is short and straightforward. Valve train lubrication is routed through the cylinder head to the inside of both inlet and exhaust cam, directly feeding the sliding surface of cam and rocker arm. The 5-speed gearbox drives a sealed 520 chain through a 13T front and 48T rear sprocket. Activating HRC Launch Control is easy – to turn on, pull in the clutch and push the Start button (on the right). The LED will blink once for Level 1 selection. Push the Start button again, for 0.5s or longer, and the LED will blink twice for Level 2. Repeat the process and the LED will blink 3 times, indication Level 3 has been chosen. The Engine Mode Select Button (EMSB) alters the engine’s characteristics and three maps are available to suit riding conditions or rider preference: Mode 1 (Standard), Mode 2 (Smooth) and Mode 3 (Aggressive). The LED also displays Mode selected. * The rest of the 2019 CRF model lineup list will be updated with official numbers on they are released. 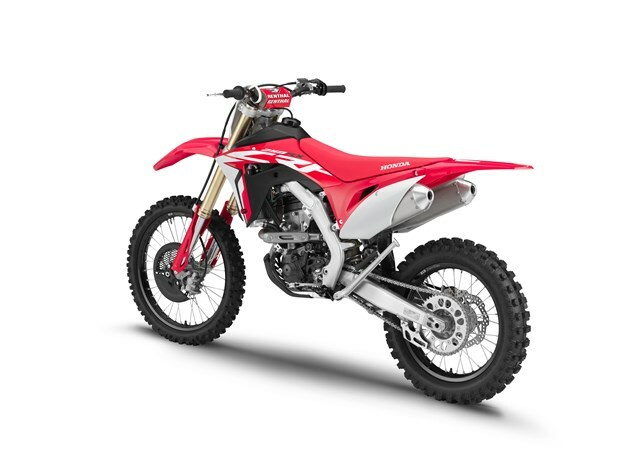 The CRF250RX uses the same tapered-spar aluminum frame as the CRF250R, which returns excellent feedback and rear wheel grip due to its low centre of gravity. Unchanged in its transition to RX-spec. 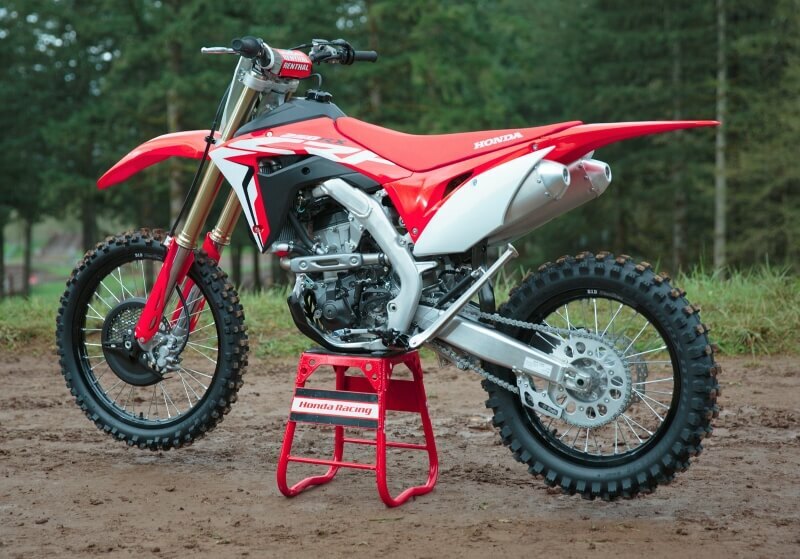 it does use a new twin-piston front brake caliper – common with the YM19 CRF450R – which has 30 and 27mm diameter pistons. This allows for a lighter body and, along with low expansion rate brake hose, improved brake feel and staying power. It works on a 260mm wave-pattern disc, matched by a rear 240mm wave-pattern disc and single-piston caliper. The Renthal Fatbar reduces the weight of the steering system and flexes for optimal comfort; the top yoke features two handlebar-holder locations for moving the handlebar rearward and forward by 26mm. When the holder is turned 180 degrees, the handlebar can be moved an additional 10mm from the base position, resulting in four total unique riding positions. Lightweight DID aluminum rims, with directly attached spoke pattern layout are now finished in black; the front is a 21 x 1.6 in, the rear an 18 x 2.15 in. Fitted as standard equipment are Dunlop’s Geomax AT81 Enduro tires, 90/90-21 front and 110/100-18 rear. 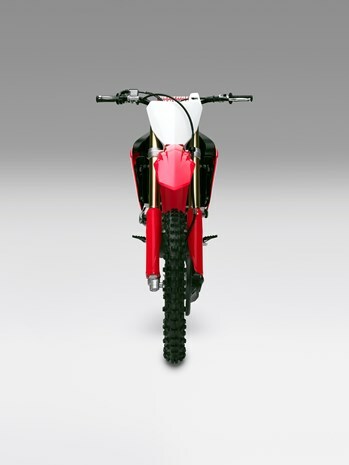 Like its big brother the CRF250RX uses an 2.25 gal (8.5L) plastic fuel tank, giving a potential range of 40 miles (65km). 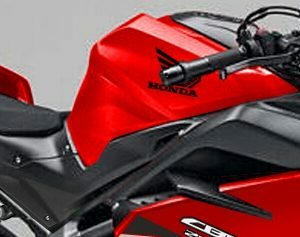 The radiator shroud is CRF250RX-specific, while the smooth external lines of the plastics help the rider move easily and the narrow frontal area and front mudguard directs an efficient funnel of air to the radiator. A forged aluminum sidestand tucks neatly out of the way when not in use. The bodywork uses durable film inset graphics that cover a wide area with scratch-resistant style; the engine sump guard has been redesigned to improve engine cooling and fork protector modified to reduce chance of stone damage. * Includes all standard equipment, required fluids and full tank of fuel—ready to ride Specifications subject to change.